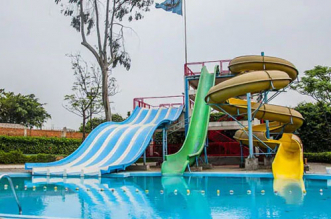 New Delhi: Chandigarh, both a city and Union Territory, is one of the early planned cities in post-independent India. The architecture, urban design, and master plan of the city prepared by Swiss-French architect Le Corbusier, has sufficient green patches to enhance the beauty of the city. 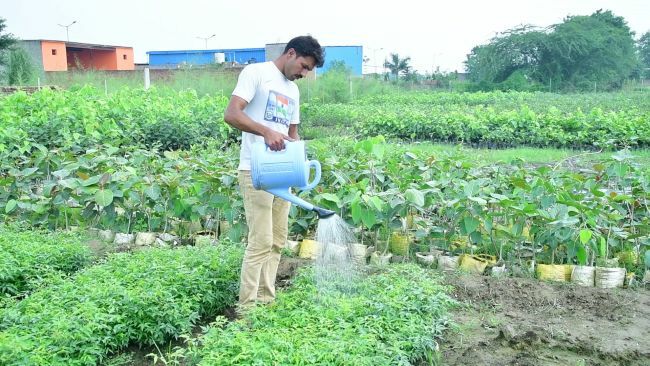 Inspired by Chandigarh’s greenery, 31-year-old police constable Devender Sura, undertook a mission turn his hometown Sonipat in Haryana green. In the year 2011, when I was posted in Chandigarh for the very first time, I was amazed to see how well the city has planned its green cover. From where to plant trees to which kind of tree to plant, everything was in sync. Trees are planted in such a way that during summers, one can easily walk under the shade. I myself walked to the police station without coming in direct contact to the sunlight. It was so much fun. It is then I thought if one city can do it, then why can’t us, recounts Mr Sura while speaking to NDTV. Though the idea came in 2011 and Mr Sura even planted a couple of trees, but the real work kick-started from the monsoon of 2012. 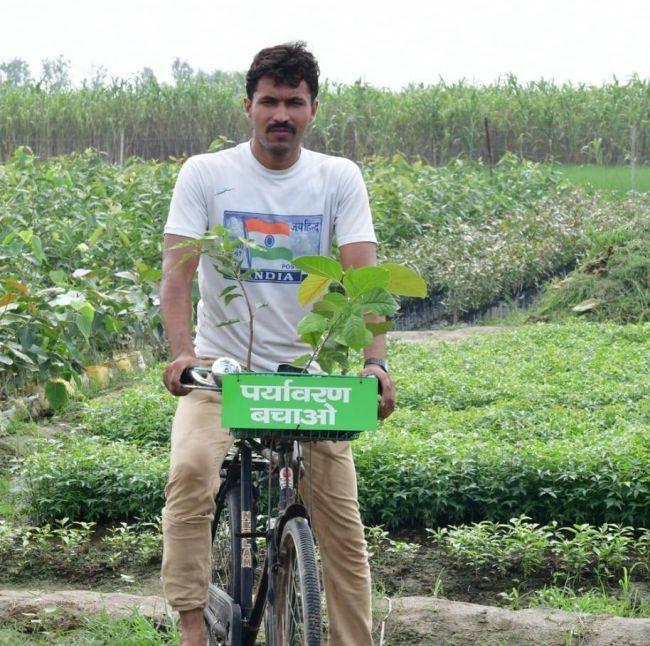 From planting a tree near his house to expanding his mission to cover his village first and then 152 village panchayats, the self-driven initiative turned into a people’s movement and grew over a period of six years. When I started planting trees, my family opposed it because I was investing a fair share of my salary in the green deed. But slowly and gradually when I started interacting with people about the importance of planting trees and people started joining the green initiative, my family succumbed to it. In the last six years, I have invested close to 30 lakh, says Mr Sura. Every evening, when villagers gather in an open verandah, I go there and tell them about my initiative. I give them a real-life example, for instance, ‘You are having this conversation under this tree because someone planted it. People across different villages can enjoy the shade of a tree just like you are, if you and I come together and plant trees’. Till now, 7,600 children have joined my initiative and have given me the name ‘tree man’, says a proud Mr Sura. Mr Sura visits different cities and villages, pitches his idea and forms a team of volunteers. Volunteers are then assigned a duty of planting trees with a promise of taking care of it for at least two years. 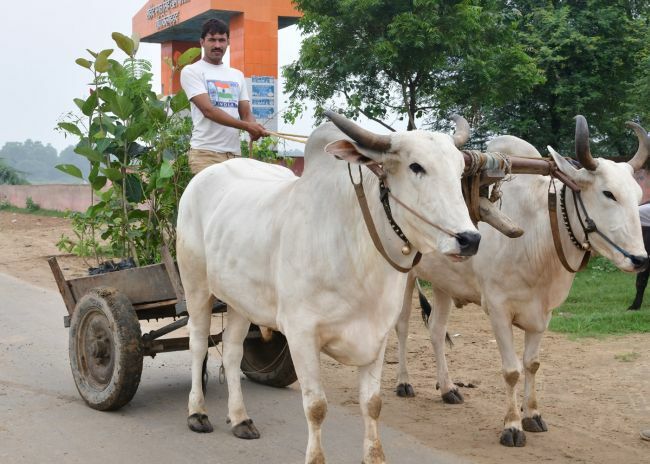 The team of volunteers plants 5-6 feet high saplings which are already a year or two old and then maintain them for two years which is enough time for saplings to get stable and grow on their own. 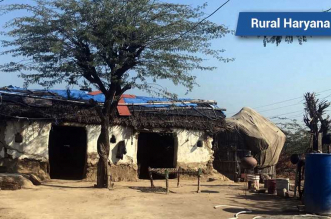 Following this model, Mr Sura now has teams in 152 villages spread across areas like Rohtak, Panipat, and others. 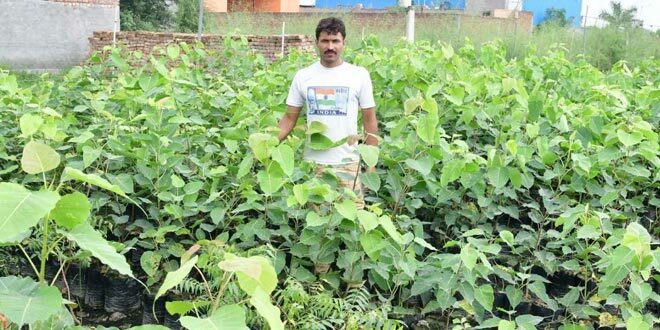 Till today, Mr Sura has planted over 1.4 lakh (1, 40,200) trees including peepal, neem, Banyan tree, Arjun, medical plants like Amla, fruit-bearing trees like Jamun (black plum), Mango, and Guava. All the trees are planted either in schools, hospitals, near bus stand, around ponds, cow sheds, or panchayats. 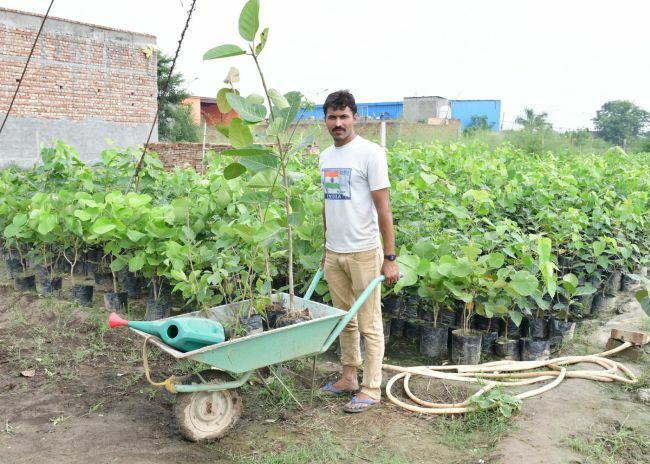 Mr Sura’s grand plan for 2019 is to plant one lakh trees in North India in one day. Being a cop is obviously not easy. There are days when I have double shifts that is I work for straight 24 hours, but then I get 48 hours rest. So I work towards my passion whenever I get time, says Mr Sura. Initially, Mr Sura used to purchase saplings which would often burn a hole in his pocket. Then he started purchasing it directly from farmers in the state of Uttar Pradesh, but importing on a regular basis was a task in itself. So, Mr Saru learned the art of growing trees and nursing them, rented a piece of land and started his own nursery. 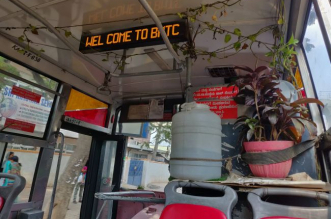 Today, people from different cities take saplings from him. One of my brothers lives in the Netherlands and there everyone uses a bicycle. From a school student to the president, you will find everyone riding a bicycle to their school, work, coaching, and other places because they care for their environment. Similarly, we should also think of the environment which gives us things like air, food, and shelter.